According to rigorous new tests undertaken by AV-Comparatives, two-thirds of the antivirus apps available for Android devices offer no protection whatsoever. 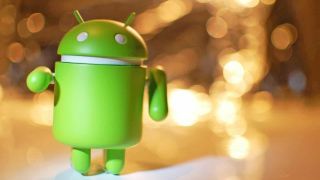 In its ongoing mission to offer systemic testing of security software, the independent organization put 250 Android antivirus apps through their paces, finding that all but 80 of them failed to meet even the site's minimum requirements for basic security. According to the site's 2019 test, less than a third of the apps examined managed to detect at least 30% of 2018's malicious apps with zero false alarms – many of the apps that failed to meet the site's standards regularly found popular genuine (clean) apps to be harmful, and malicious ones to be safe. That ineffectiveness, in large part, stems from the apps not actually scanning code. Many were discovered to be working from outdated and dubious blacklists and whitelists, failing to detect malicious packages if their names sounded like trusted apps (e.g. 'com.facebook' or 'com.whatsapp'). Of course, the apps that did manage to pass with flying colors included many big names from well known and respected antivirus companies, such as Kaspersky Lab, McAfee, Avast, AVG, Trend Micro and Symantec. For a complete list of the apps that failed and passed AV-Comparatives’ latest tests, you can head over to the organization's 2019 results page.